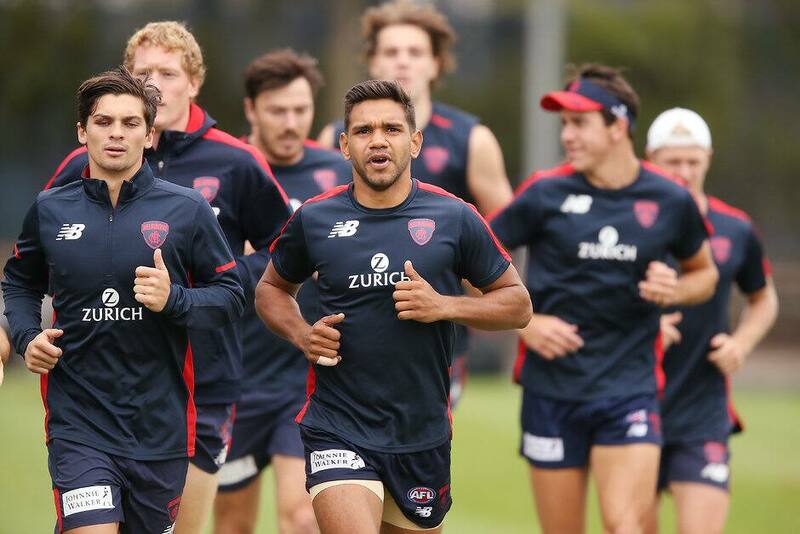 MELBOURNE has made two late changes to its Round 4 side, with Neville Jetta and Jay Lockhart withdrawn from the team to face Sydney. The injured pair have been replaced by Marty Hore and Charlie Spargo for Thursday night’s game at the SCG. Jetta has been forced out of the team due to a knee complaint, while Lockhart will miss as a result of back soreness. The late changes provide an opportunity for Hore to play his second career game after debuting in Round 1, with the versatile defender set to fill Jetta’s void down back. Coming off a jaw injury, Spargo will also be playing his first senior game since the Dees’ season opener against Port Adelaide. Melbourne’s Round 4 clash with the Swans kicks off at 7:20pm.